GM-EMD GP7 No. 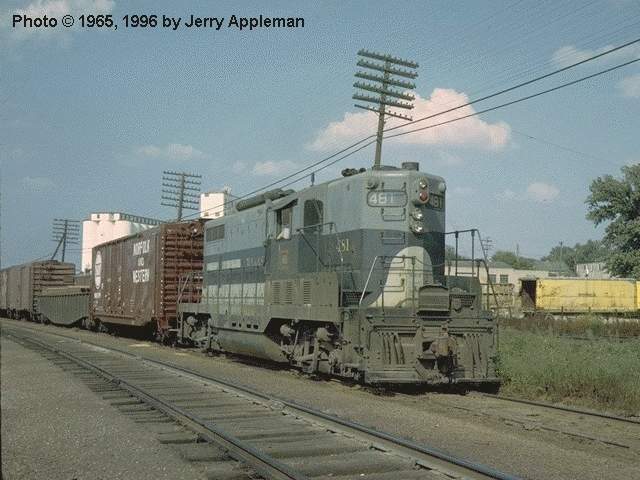 481 (later N&W 3481), near Kansas City, MO., August 1965. Image © 1965, 1996, Jerry Appleman.